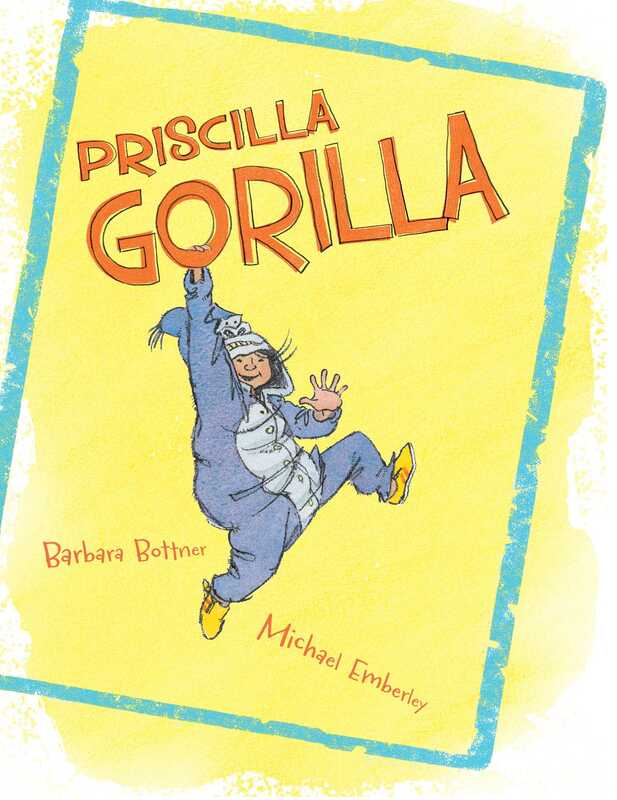 When a whole class goes gorilla, they learn the importance of balancing passion and creativity with cooperation in this charmer of a picture book from the New York Times bestselling duo, Barbara Bottner and Michael Emberley. The day Priscilla gets a book about gorillas, she instantly becomes obsessed. She dances like them, eats like them, and wears her gorilla costume 24–7! There are so many things to love about gorillas, but what Priscilla loves best is how they seem to always get their way. So when Mr. Todd tells all his students to dress up like their favorite animal, Priscilla’s choice is obvious. But dancing around and beating her chest when it’s not her turn sends Priscilla straight to the Thinking Corner. She is of course outraged—nobody tells a gorilla what to do!—and as her attitude spreads, soon the thinking corner is full of her classmates. Is Priscilla really channeling her inner gorilla, or is she just a troublemaker in ape’s clothing? Michael Emberley is the illustrator of many books for children including Hello Benny!, Go! Go! Maria!, and Barbara Bottner’s Miss Brooks’ Story Nook. Michael lives in Ireland. With the single-minded focus of a kindergartner with a new obsession, Priscilla eats, sleeps, and breathes gorillas. After receiving a most wondrous book called All About Gorillas, the girl informs her mother that she likes gorillas because “They always get their way.” Her beleaguered teacher, Mr. Todd, does his best to deal with the onslaught of continuous gorilla art, interpretive dance moves, jungle calls, and perpetual costumes. Ultimately, his enthusiastic charge is invited to the “Thinking Corner.” Priscilla informs her parents that the only thinking she does there is about how she doesn’t like the “Thinking Corner.” When her friends at school catch her wild animal bug and begin insisting on dressing up as their own favorite animals, Mr. Todd takes matters into his own hands and proposes a field trip to the zoo. Priscilla comes face-to-face with her hero, and everyone breaks into spontaneous gorilla dancing, including the suddenly uninhibited Mr. Todd. Emberley’s delightfully wacky illustrations capture Bottner’s colorful narrative. This author/illustrator duo do a dynamite job of portraying what all early education teachers should have the freedom and funding to do—follow and build on the interests of their students. VERDICT This is an exceptional pairing of language and art. Its humor and fresh message give it wide appeal, and its positive depiction of a male teacher makes it a standout among stories about kindergarten classrooms.